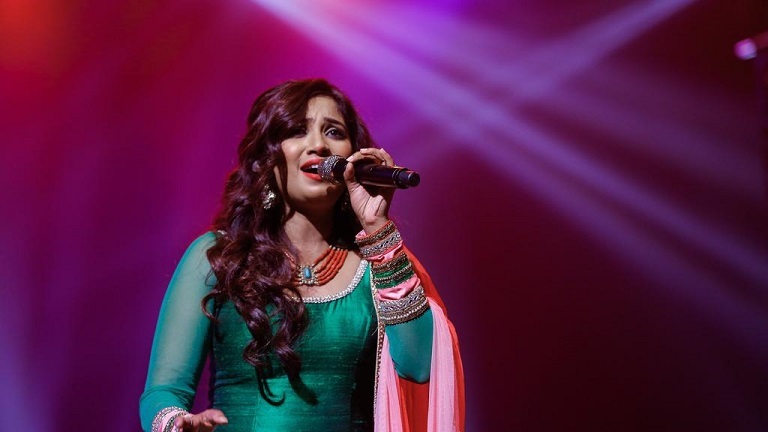 India's singing prodigy Shreya Ghoshal, who turns 35 today, started her impressive career at the tender age of 4. Shreya got her big break when she won the singing reality show Sa Re Ga Ma Pa, and has received 4 National Film Awards, 20 Filmfare Awards and 8 Filmfare Awards South to-date. Shreya is not a person who enjoys her time at gym and doesn't hit the gym regularly. But she does have her own routine; she starts her day with jogging and walking at dawn. Taking junk food or fatty foods are a big NO for Shreya. Her diet regimen includes foods rich in protein and carbohydrates. Shreya just follows a simple routine to keep her skin nourished. She uses cleanser and moisturizer regularly and avoids using anything else. It's always better to keep things simple. Telegu Actresses Bhargavi and Anusha Reddy were reported to have died in a car accident in the Vikarabad district in Telangana on Wednesday. Actor Ashwin Jerome, who plays the rival character to Hip Hop Adhi leading man’s role in “Natpe Thunai” has nothing but praises for his co-star, according to Times of India. Happy Birthday to this inspirational actor - we can't wait to see more hits from this talented star! Vignesh posted a photo showing him celebrating Vishu with his family and Nayanthara. Condolences have been pouring in on social media following the actor’s death on Saturday. You'll Be Shocked to Know Kamal's Salary for Bigg Boss 3! Bigg Boss Tamil is probably one of Vijay TV's most successful reality shows. The first two seasons become highly popular and created a loyal following of fans and haters.